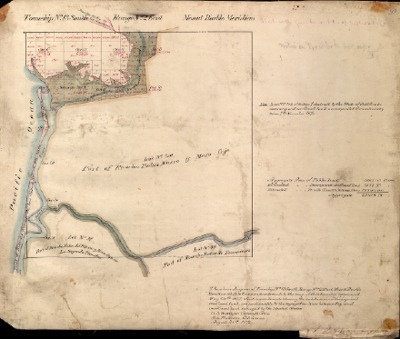 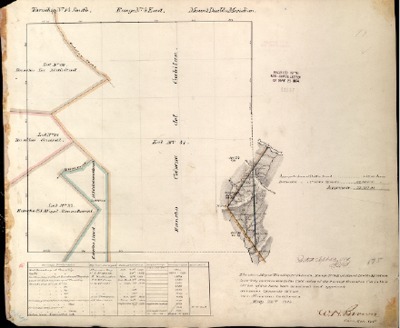 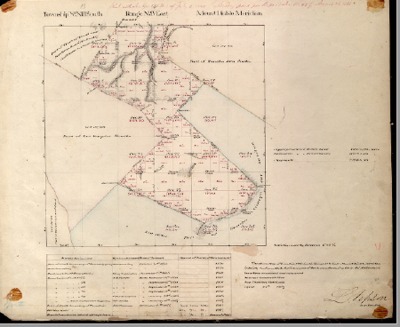 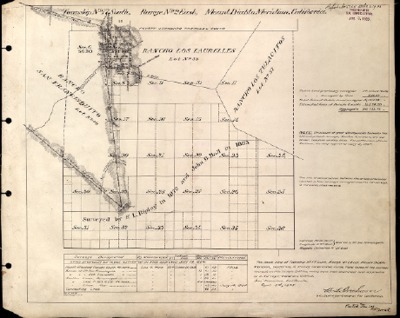 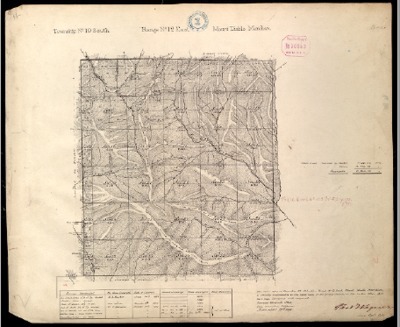 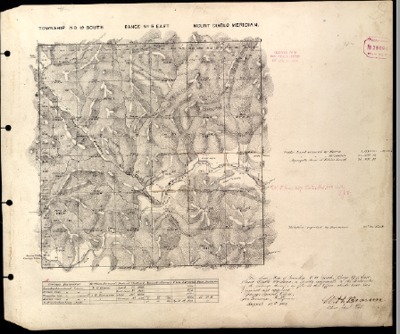 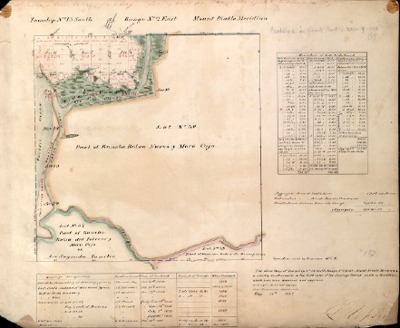 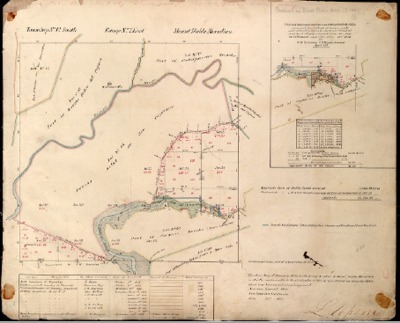 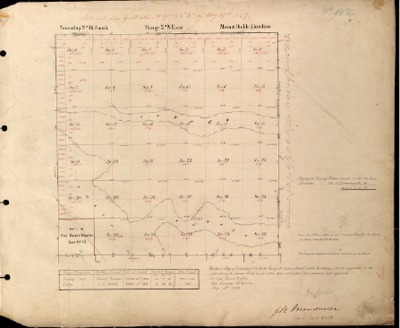 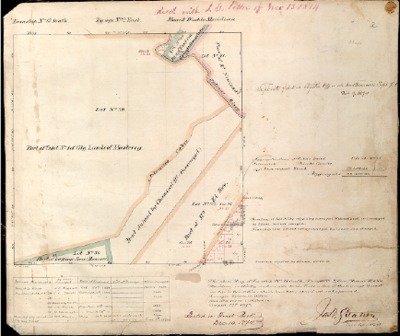 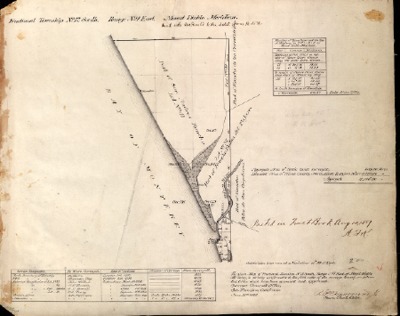 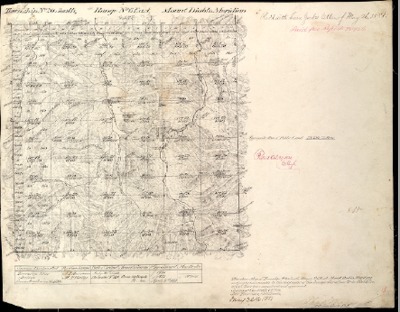 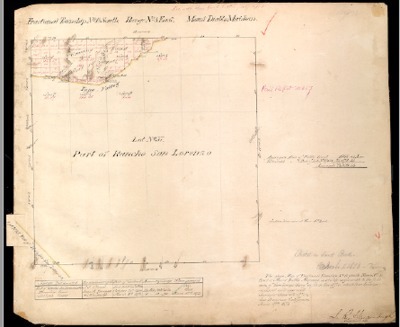 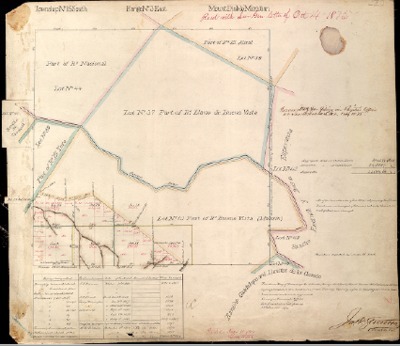 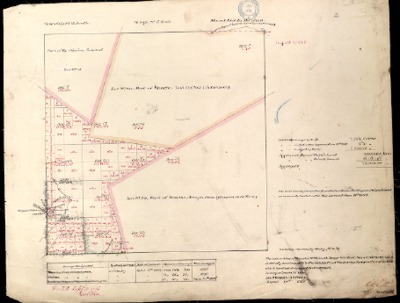 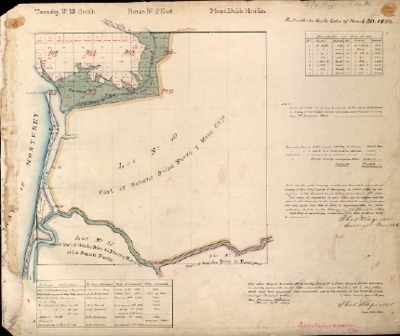 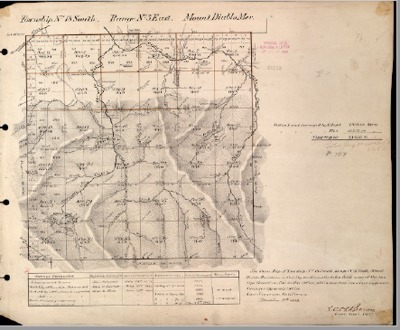 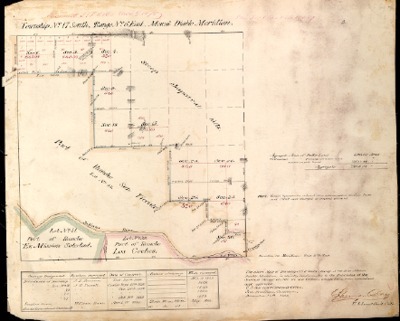 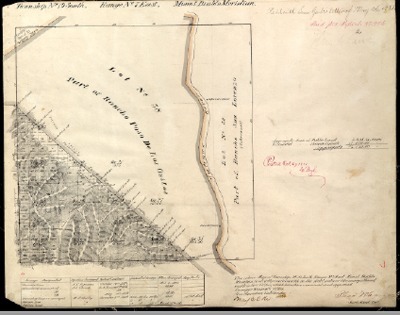 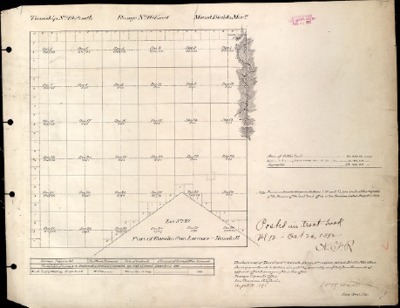 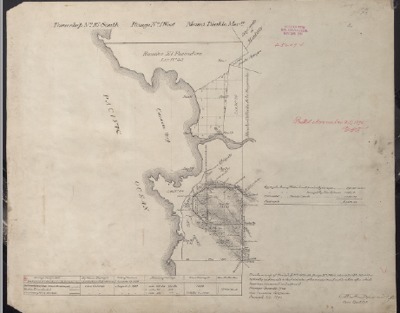 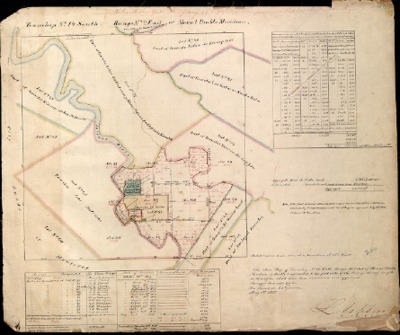 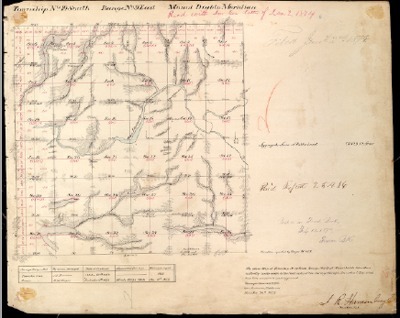 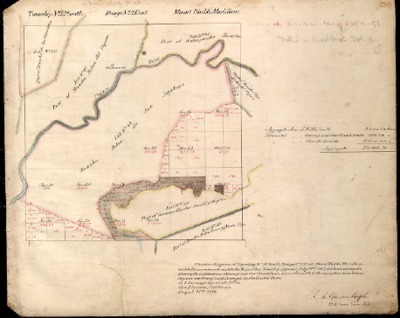 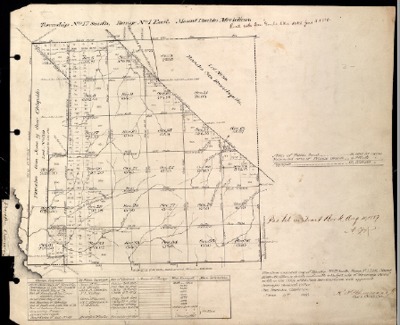 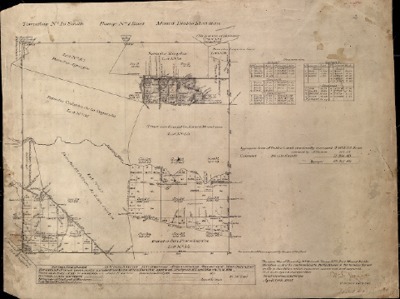 A Feb. 29, 1856, survey or plat reflecting the Township, Range and Sections of T23S, R10E. 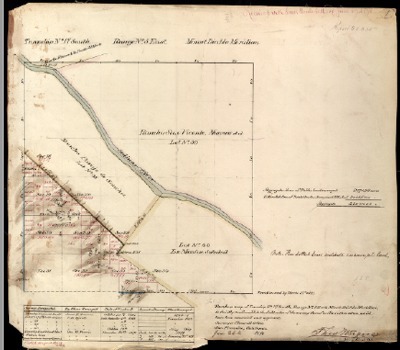 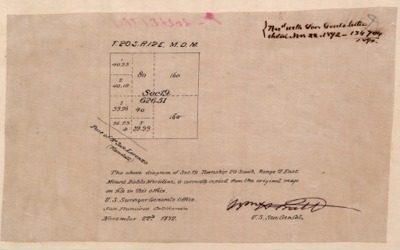 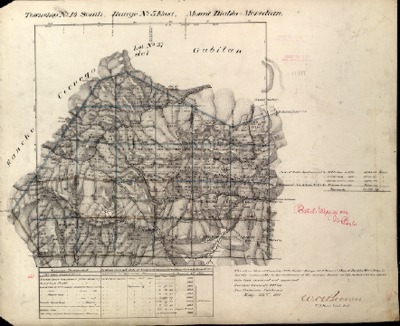 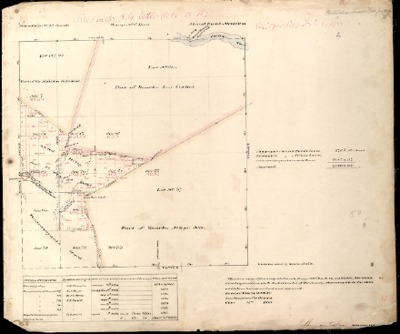 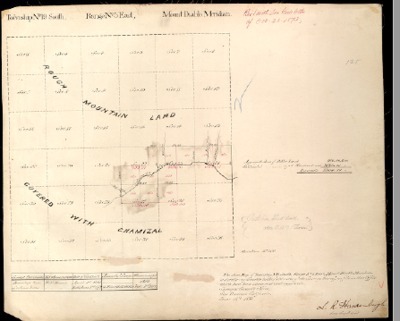 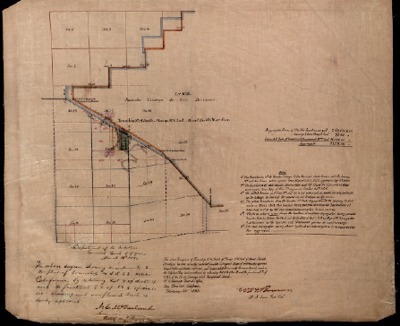 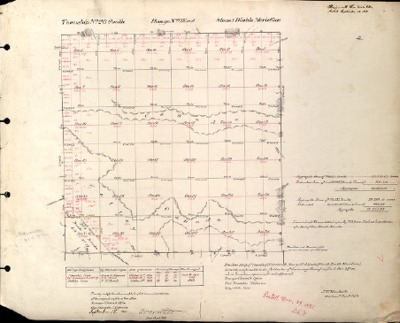 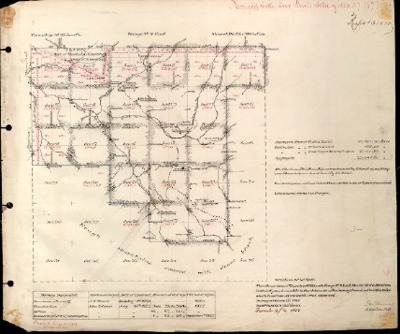 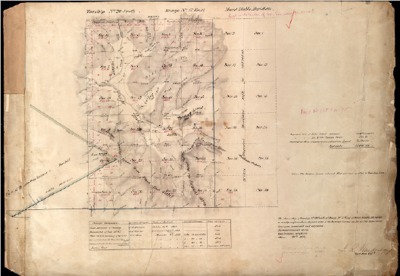 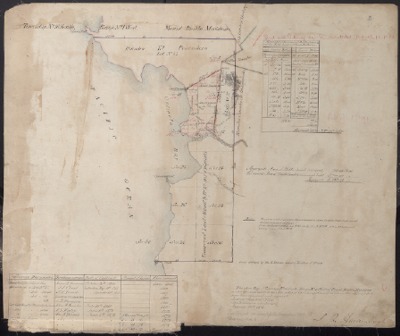 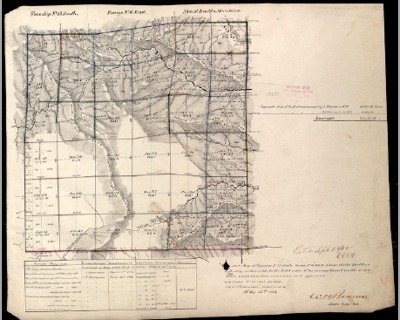 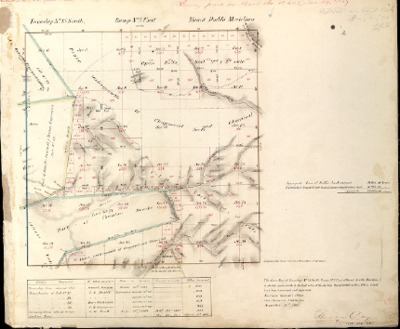 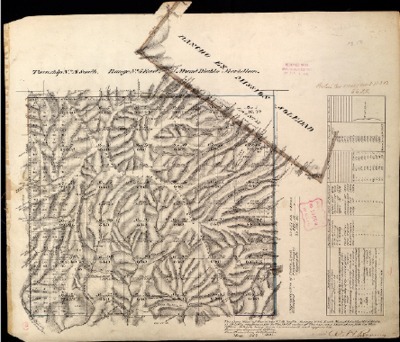 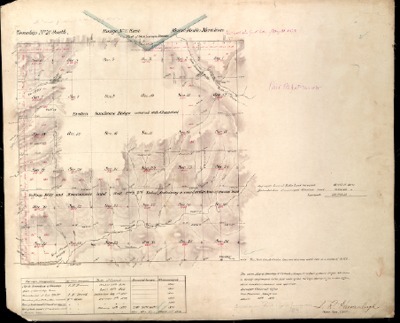 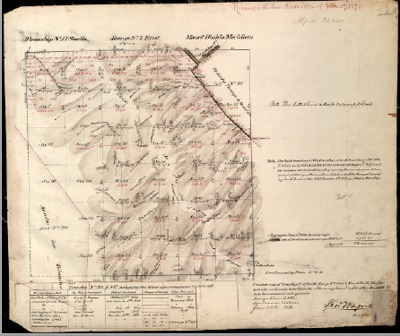 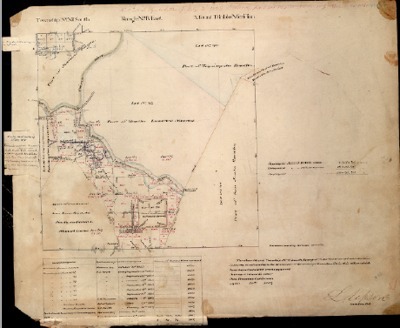 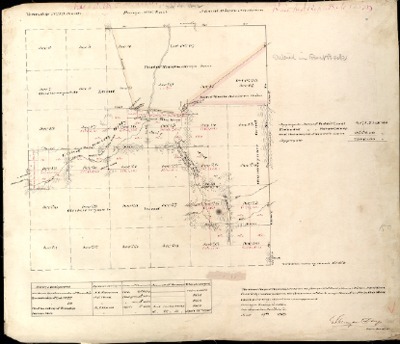 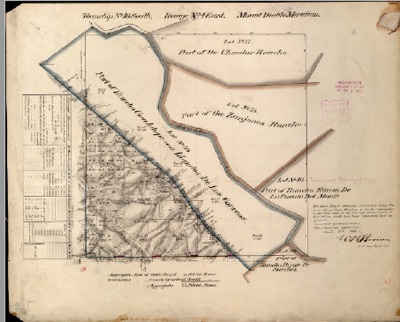 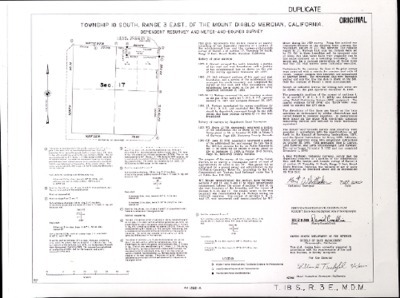 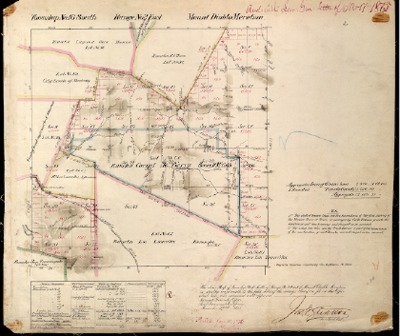 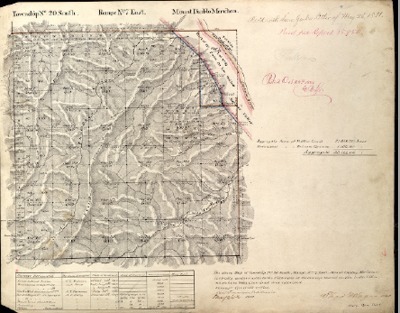 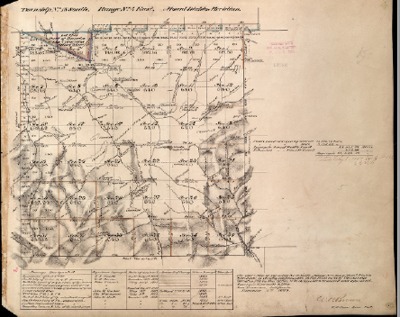 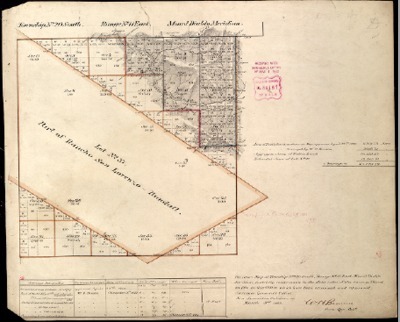 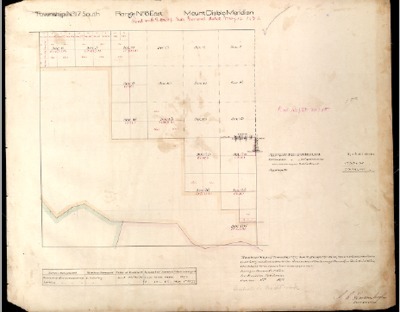 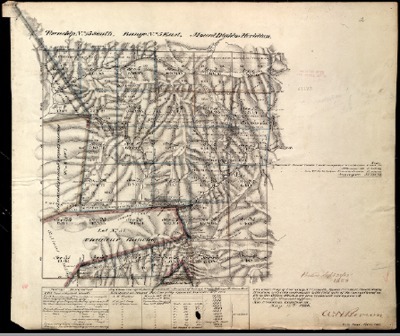 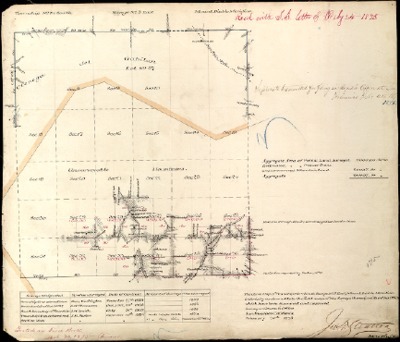 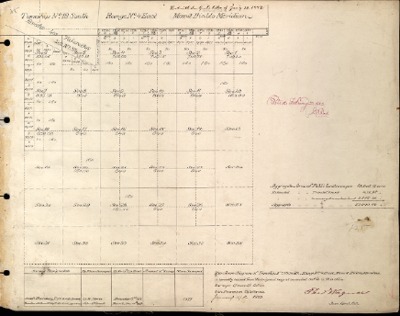 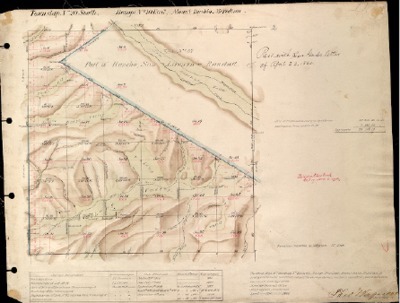 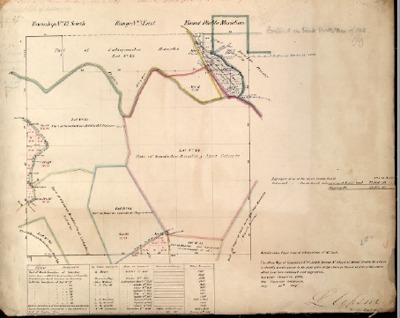 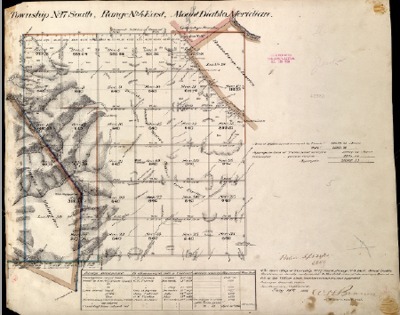 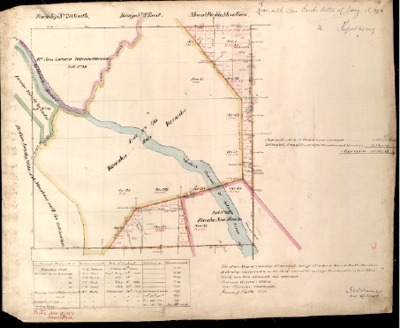 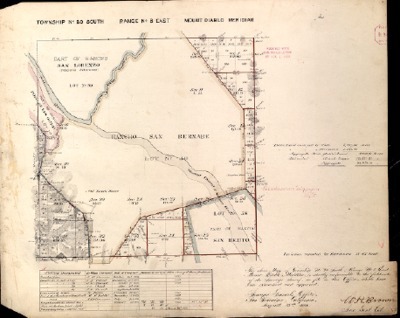 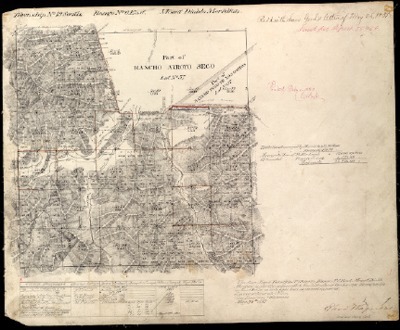 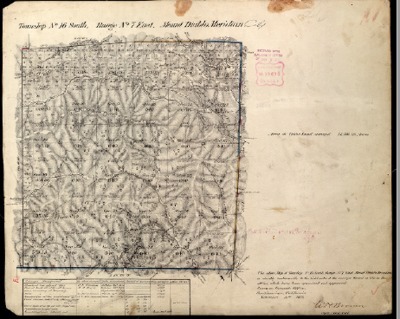 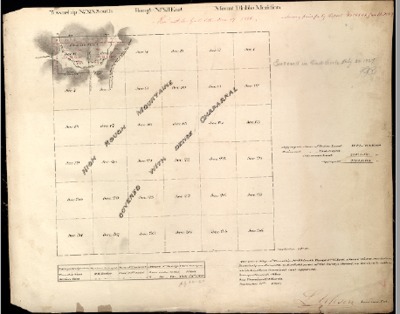 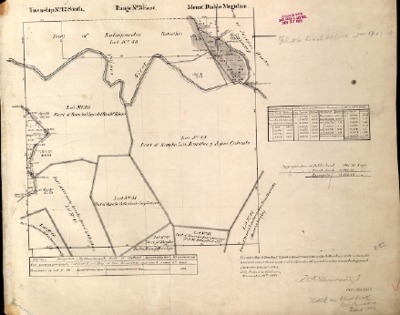 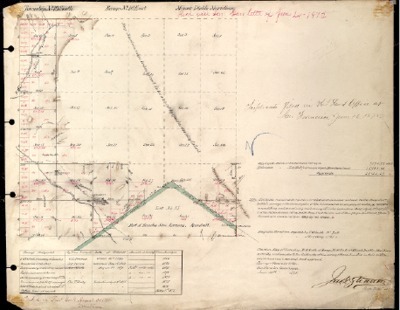 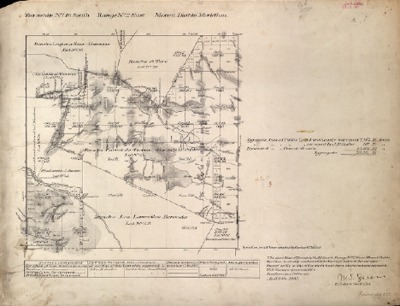 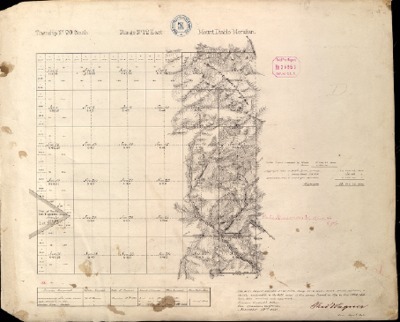 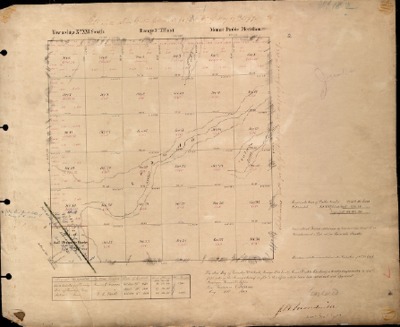 A Aug. 29, 1872 survey or plat reflecting the Township, Range and Sections of T23S, R10E. 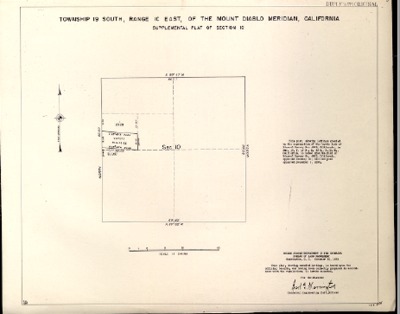 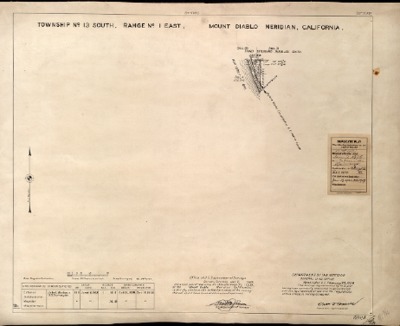 A Dec. 3, 1880, survey or plat reflecting the Township, Range and Sections of T23S, R10E, located in Monterey County, California, USA. 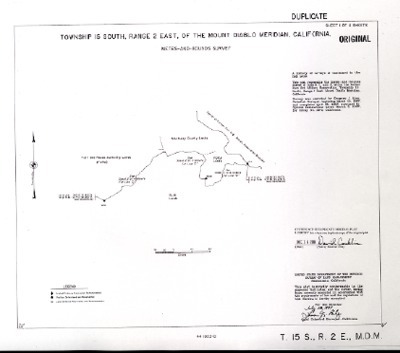 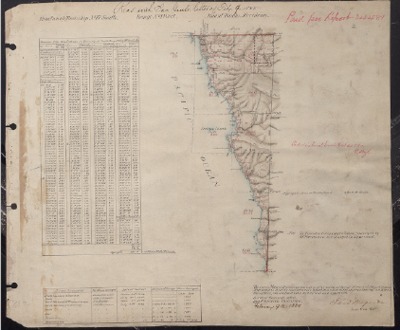 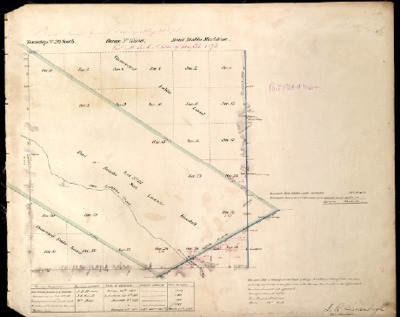 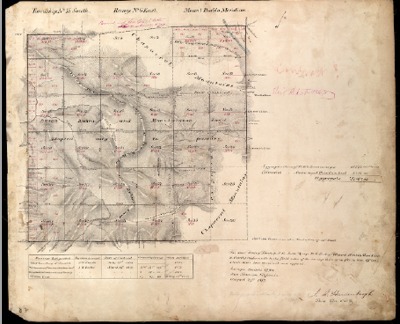 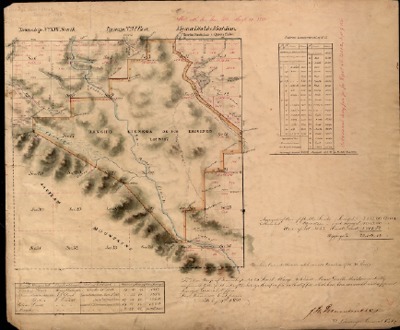 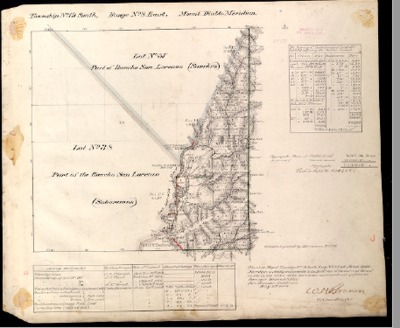 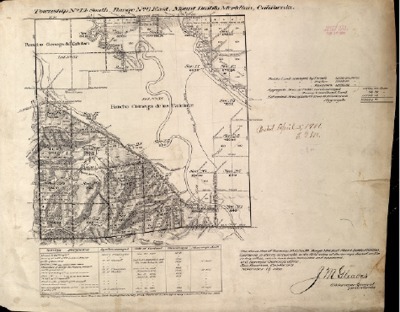 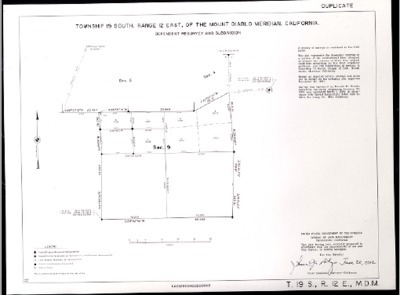 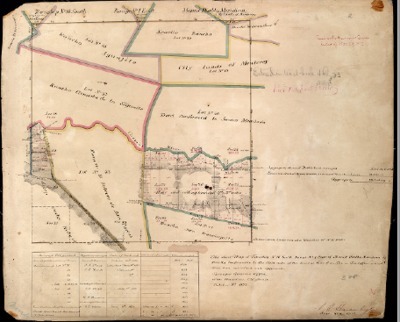 A June 25, 1856, survey or plat reflecting the Township, Range and Sections of T23S, R11E, located in Monterey County, California, USA. 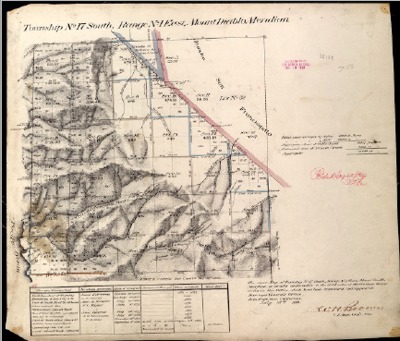 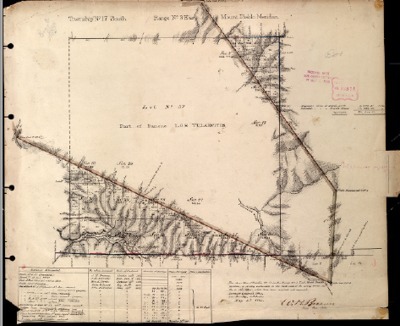 A Dec. 3, 1880, survey or plat reflecting the Township, Range and Sections of T23S, R12E, located in Monterey County, California, USA. 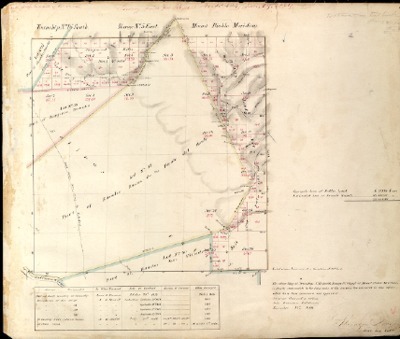 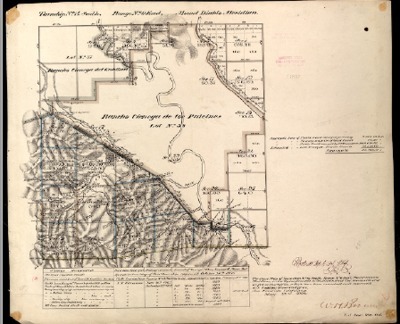 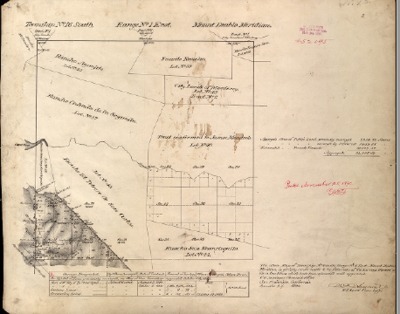 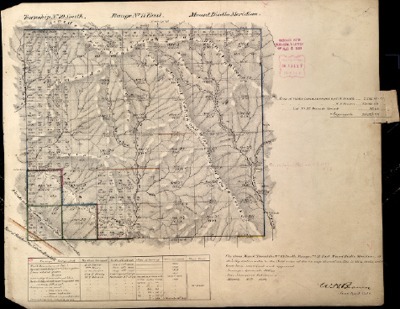 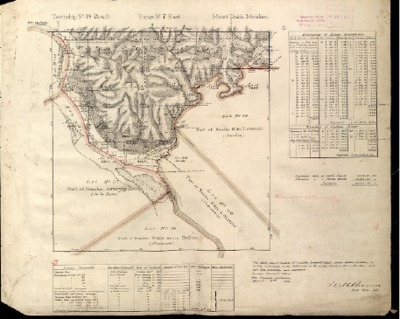 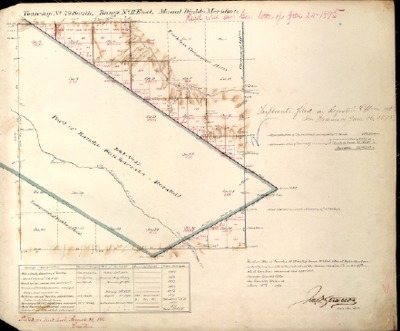 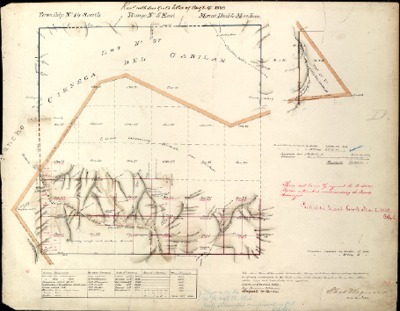 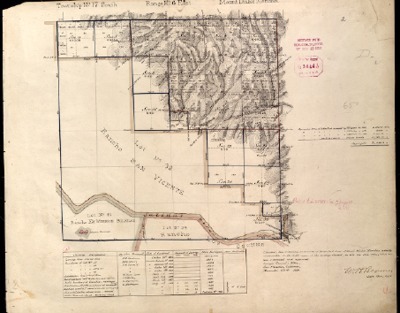 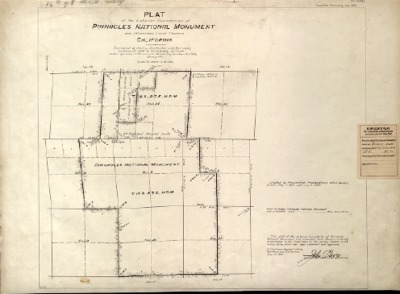 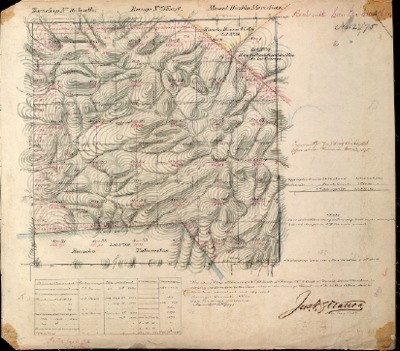 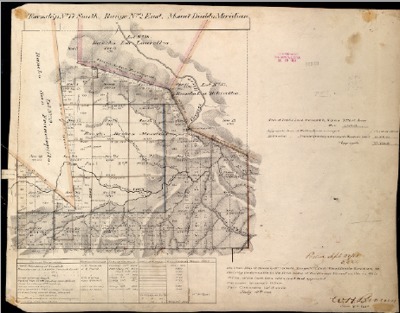 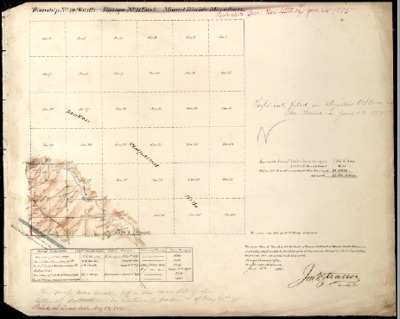 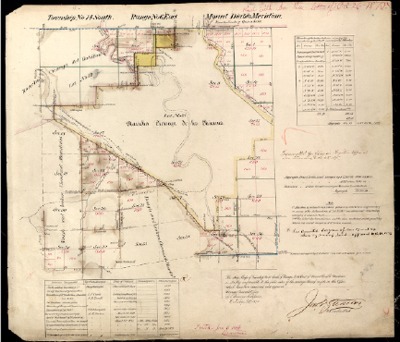 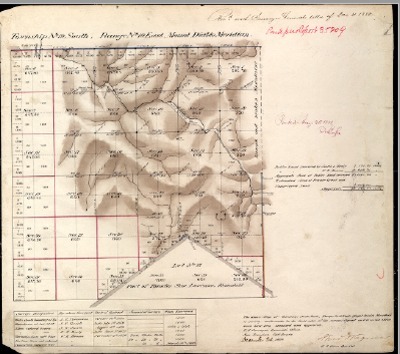 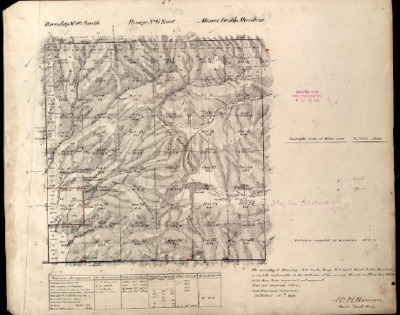 A Dec. 3, 1880, survey or plat reflecting the Township, Range and Sections of T23S, R13E, located in Monterey County, California, USA. 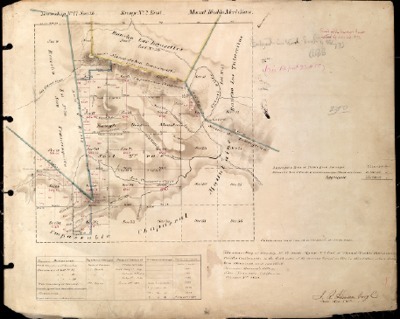 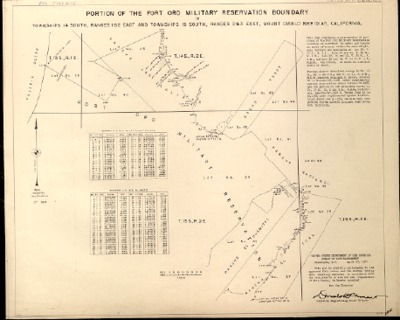 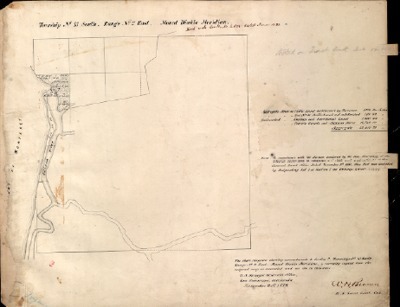 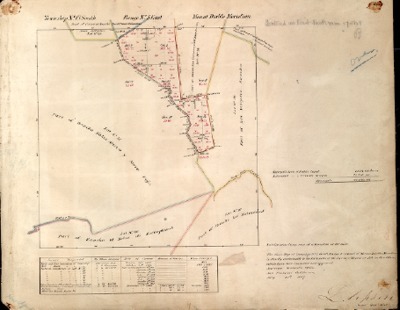 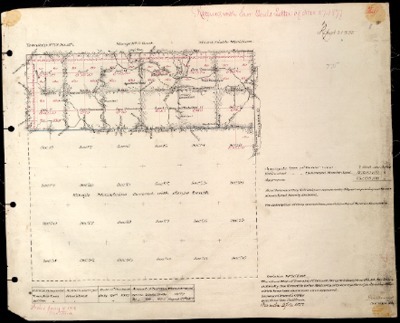 An April 1, 1899 diagram eflecting the Township, Range and Section 22 of T23S, R16E.